Initial restriction could be midnight to 5am but that is still to be confirmed. IRISH WATER HAS warned that water restrictions in the Greater Dublin Area are “likely to begin early next week”. The water utility said night time water restrictions may be needed to avoid widespread outages in the autumn and that a final decision is expected tomorrow. A national hosepipe ban remains in place and Irish Water says there are already over 20 schemes across the country on restrictions. Irish Water Engineer and Corporate Affairs Manager, Kate Gannon said, “Introducing restrictions was an option that Irish Water hoped could be avoided because of the inevitable impact on homes and businesses. We are monitoring the situation, but the weather is not changing, the rain is not coming. Something else has to be done to protect water supply and avoid widespread outages in the autumn. 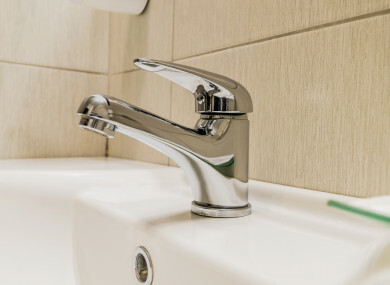 Speaking in the Dáil this afternoon, Minister for Housing, Planning and Local Government Eoghan Murphy said there is an urgent need for water conservation. He said the overriding concern would be for the future availability of drinking water. The crisis is not over, it’s far from over, although there will be rain this weekend it won’t be anywhere close to what we need. He said we need three weeks of rain to restore cuurent supplies. He added that if we don’t see enough rain by August, daytime water restrictions could need to be put in place. It’s not just for July and August we need to plan but for September and October also. However he added that water consumption has stabilised and he thanked the public for their cooperation. Email “Night time water restrictions in Greater Dublin Area 'likely to begin early next week'”. Feedback on “Night time water restrictions in Greater Dublin Area 'likely to begin early next week'”.